The SsangYong Tivoli is considered to be one of the best-valued crossovers in the market. However, there’s one big surprise that apparently hindered its success, at least based on what some keyboard warriors are saying: the spare tire, or more specifically, the lack of it. 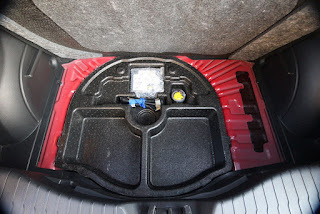 Relying on a tire mobility kit—a small air compressor that plugs into the cigarette lighter and a can of sealant, some have been wary in choosing the Tivoli even if it meant having slightly better trunk space as a result of not having a spare tire. Well, don’t fret. 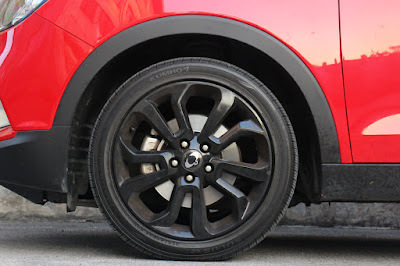 SsangYong Philippines has already solved that with the refreshed Tivoli and Tivoli XLV which swaps their mobility kits for a space saver spare tire. But what about current Tivoli and Tivoli XLV owners? According to Rhod Dela Cruz, Sales Manager for SsangYong Berjaya Motor Philippines, they’re actually started offering them as a dealer option for the Tivoli and Tivoli XLV. And even if you happen to stumble upon a unit equipped with the mobility kit, you can opt to continue with that and swap it for their spare tire package if you wish to do so in the near future, for a fee of course. Kudos to SsangYong Philippines for giving buyers this option. Though they’re a relatively unknown player in the industry, they’re continuing to build a name for themselves by providing good customer service. From providing a 5-year warranty to offering an all-inclusive 3-year PMS program to this, they’re taking baby steps in the right direction.